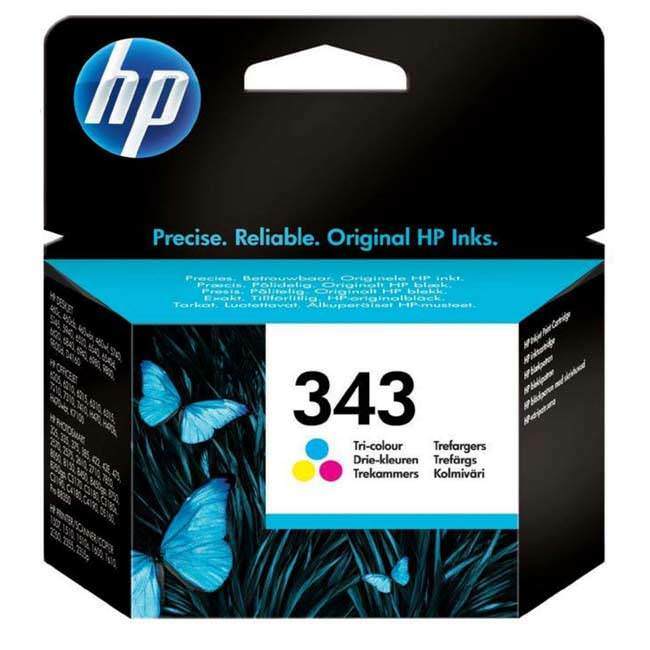 This original Hewlett Packard HP 343 tri-colour ink cartridge uses HPs pigmented ink technology that allows you to print crisp, sharp and fade resistant text and images from the first page to the last. The genuine HP 343 tri-colour ink cartridge has been manufactured by Hewlett Packard ensuring 100% compatibility with your HP printer. The original Hewlett Packard C8766EE tri-colour ink cartridge holds 7ml of High quality pigmented Ink giving you a page yield of around 330 (based on a 5% coverage) they are designed to be easy to install and can be compatible with a wide range of Hewlett Packard Printers. A full list of compatible Printers can be found above. This original HP 343 cartridge comes with our 100% satisfaction guarantee. All prices include VAT and delivery so the price you see is the price you pay!